Last October, Ukraine’s ruling Party of the Regions won only a slim election victory, but President Viktor Yanukovych has taken the opportunity to pack his new government with members of his ‘Family’ – and to level new and grave charges at jailed opposition leader Yulia Tymoshenko. Sergii Leshchenko reports. When Vladimir Putin’s second presidential term was drawing to a close, the question arose of who would be his successor. The press mockingly discussed the possibility that he might appoint his beloved labrador dog Connie. Ukrainian president Viktor Yanukovych took the joke too seriously. In January he announced his new government, after the parliamentary election last October. No pets have yet been named as ministers, but the principle of blind personal devotion to President Yanukovych has certainly been central to his appointments. No pets have yet been named as ministers, but the principle of blind personal devotion to President Yanukovych has been central to his appointments. At the same time, the Prosecutor General Office has also made new accusations against opposition leader Yulia Tymoshenko, charges that could bring her a prison sentence for life. Such is how Viktor Yanukovych has chosen to start the new political cycle that will take him up to the next presidential election in 2015. In 1996, businessman and MP Yevhen Shcherban was gunned down as he stepped off a private jet at the airport in his home city of Donetsk; his wife and several bystanders were also killed. Now Tymoshenko is accused of ordering his murder, in collusion with Pavlo Lazarenko, then-Ukrainian prime minister and her business partner. Lazarenko has recently been released from an American prison where he was serving a sentence for money laundering. The paradox is that the trial of those accused of murdering Shcherban took place nearly ten years ago, when Tymoshenko was an opposition MP. Given the bizarre rules of Ukrainian politics, there was nothing to stop her being named as a suspect then. However during the 2003 court case, which examined the circumstances of the murder in great detail, Tymoshenko’s name was never once mentioned, although Lazarenko was a suspect, accused of involvement in ordering the killing. 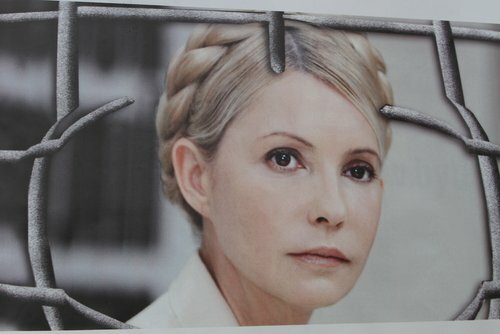 Tymoshenko’s inclusion in this story looks like a ‘trial shot’ by Yanukovych – and demonstrates that he is ready to take this affair to the bitter end. He has no intention of bending to western pressure to release Tymoshenko. On the contrary, according to his logic this new accusation should put the west off supporting her further. The previous charge against Tymoshenko, for which she is serving a seven year prison sentence – overstepping her authority as prime minister while brokering a gas deal with Russia in 2009 – convinced neither the Ukrainian public nor Western observers. Her party received 25% of the vote in last October’s election, halving the gap between it and Yanukovych’s party compared with the 2010 presidential election. 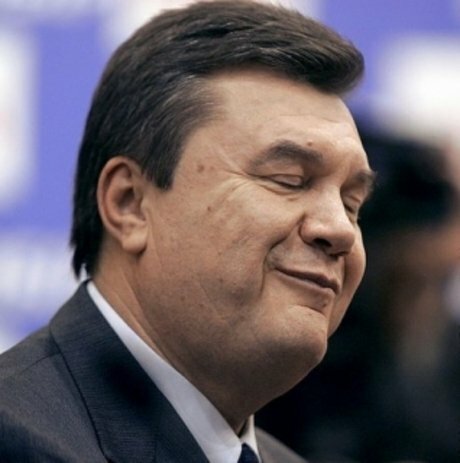 Yanukovych has no intention of bending to western pressure to release Tymoshenko. On the contrary, according to his logic this new accusation should put the West off supporting her further. At the same time the European Union made Tymoshenko’s release a condition for signing its Association Agreement with Ukraine, establishing closer economic and political links than with any other country without candidate status. In this situation Yanukovych had two options. He could agree to a gradual ‘thaw’, which would entail a democratisation of Ukrainian internal politics and the release of Tymoshenko; a European parliamentary observation mission consisting of ex-Polish President Aleksander Kwasniewski and ex-European Parliament President Pat Cox has been actively working for this outcome. Germany has also made repeated proposals that Tymoshenko, who suffers from a spinal hernia, be released for long term treatment at Berlin’s Charité hospital. Yanukovych’s other option was to pursue his own agenda to the bitter end: insisting on the rightness of his actions, keeping Tymoshenko behind bars and blackmailing the west into a climbdown by threatening to conclude a Customs Union with Russia. The president chose the second option, and is presenting the west and the Ukrainian public, who refused to accept Tymoshenko’s guilt before, with a much more grave accusation against her. This time it’s not just petty abuse of power, but a contract killing. Such a serious charge shows his readiness to test to the limit Brussels’ and Washington’s disapproval of his selective approach to justice and persecution of the opposition. This is one side of Yanukovych’s outline scenario for this new political cycle that will take him up to the next presidential election in 2015, and it is clear that his chief rival cannot expect to be released before then. The other side was revealed by his recent government appointments, all of which have gone to close associates of his elder son. The recent elections confirmed that Yanukovych has lost the support of Ukraine’s oligarchs, who would like him to free Tymoshenko so that they can enjoy the fruits of the EU’s Association Agreement. So he is now dependent on his own inner circle, connected to him by the ties of ‘Family’ business. The elections confirmed that Yanukovych has lost the support of Ukraine’s oligarchs, who would like him to free Tymoshenko so that they can enjoy the fruits of the EU’s Association Agreement. So he is now dependent on his own inner circle, connected to him by the ties of ‘Family’ business. Viktor Yanukovych and his wife Lyudmyla, from whom he is now separated, have two sons. The younger, named Viktor after his father, is a racing driver, although the peak of his career so far was probably his election to the Ukrainian parliament in 2006 at the age of 25, after his father personally added his name to the top end of his Party of the Regions’ electoral list. And although Viktor junior can barely put two words together he is now serving his third term as an MP. Viktor’s fame rests not on any brilliant speeches or reform plans, but on a short video in which he can be seen weaving unsteadily along a street in a drunken state during working hours, when in theory he should be at a sitting in parliament. A drunken Viktor Yanukovych attempts to keep his balance in Kyiv. Viktor Jnr is but a prominent example of the nepotism flourishing within Ukraine's power system. The president’s older son Oleksandr’s reputation is rather more sinister. He is a dentist by profession, and his official business interests comprise only a small bank and a construction company. But these are just a front for the presidential family’s criminal activities and lifestyle. His very name is synonymous with the redistribution of wealth in Ukraine that has been evident since his father came to power. His unpleasant reputation is the result of his friends’ occupying key posts in Ukraine’s police and tax authorities, famous for their ability to ‘process’ other people’s property. The process is very simple and has already been rolled out in Russia. Ukraine’s judicial system is corrupt and hostile to business, so large companies try to optimise their tax liabilities by walking a legal tightrope. The power structures then begin by making problems for the business owners and then suggest, as a way out, that they get a cut of profits or shares. The president’s older son Oleksandr is a dentist by profession, but his very name is synonymous with the redistribution of wealth in Ukraine that has been evident since his father came to power. ‘The family’ was a term coined for Boris Yeltsin’s entourage, who ruled in the name of the infirm Russian president in the 90s. At the very end of 2012 President Yanukovych appointed a completely new government, giving his son Oleksandr’s friends all the most important jobs. And now ‘the family’ has become the answer to any question about whose interests are represented by any given minister in the Ukrainian government. Although Mykola Azarov has been reappointed as Prime Minister, it is obvious to all that his days in the post are numbered, as the newly appointed First Deputy PM is the Family’s most prominent member, Serhiy Arbuzov. Arbuzov's meteoric rise shows just how well you can do in Yanukovych’s Ukraine. Only three years ago he was manager of Oleksandr Yanukovych’s small bank back home in Donetsk. 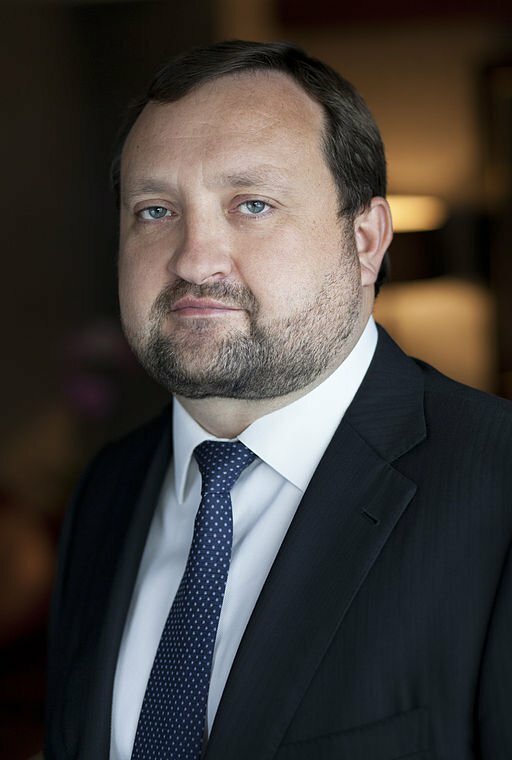 After his father’s election as president, however, Arbuzov initially became First Deputy Director of Ukraine’s Central Bank, and a year later was at its head. So now Arbuzov is deputy PM, and doesn’t hide his further ambitions. He is conducting an aggressive PR campaign: he has set up a TV channel at government expense, and from time to time posters with his photo adorn the billboards of Kyiv. He is also behind a new business paper, ‘Kapital’, which is about to hit the streets. Arbuzov’s spin doctors have been known to resort to dubious practices: for example, a non-existent German university registered in a dormitory suburb of Cologne has named him as one of the best bankers in Eastern Europe. In a bid to legitimise Arbuzov as a businessman, they have also acquired the Metalist Kharkiv football club, which has been doing well in the UEFA Europa League this season. Since Arbuzov’s cabinet appointment, Igor Sorkin, one of his Central Bank deputies and another native of Donetsk, has taken his place at the head of the Bank. Another deputy, Yury Kolobov, is now Ukraine’s Finance Minister. In a bid to legitimise Arbuzov as a businessman, his spin doctors have also acquired for him the Metalist Kharkiv football club, which has been doing well in the UEFA Europa League this season. This unprecedented aggrandizement of the Family in December 2012 has allowed its tentacles to spread to key ministries. All the top posts at the Ministry of Energy, for example, are now occupied by ‘Family’ protégés, with the new minister, Eduard Stavitsky, replacing the seemingly invulnerable Yuri Boiko, the nominee of the oligarch owned RosUkrEnergo gas company. Stavitsky’s only noteworthy previous achievement was the transfer of ownership of Mezhyhirya, an official government residence in a vast estate, from the Ukrainian state to a Liechtenstein trust owned by the Yanukovych family. The president now lives there in unbelievable luxury, which he owes to Stavitsky’s deft handiwork. Oleksandr Klymenko, another Family henchman, heads the newly created Inland Revenue Department, former by a merger of the Tax and Customs and Revenue Services. In addition, the President’s ‘Family’ also now controls the Ministries of Agriculture, Defence, Foreign Affairs, Economic Affairs and Natural Resources and Environment. In other words, key roles in the Ukrainian government are now in the hands of people from nowhere, whose chief merit is their membership of Oleksandr’s mob and their loyalty to his father the President. These are the people who have been entrusted with a mission of the highest importance: to organise Ukraine’s system of government, along with its oligarchs and opposition, in such a way as to guarantee Viktor Yanukovych a further presidential term in 2015. Whatever it costs.